rating: 5/5 [in the genre] or 9.3/10 [all books I’ve ever read]. recommended for: Fans of Throne of Glass by Sarah J. Maas, Shadow and Bone by Leigh Bardugo, and other rich, imaginative fantasy. will i read this author again? : Yes! Sequel is waiting for me as we speak. I admit, I edged into this book with misgiving. I wasn't all too certain why Kestrel impulsively bid on Arin, and the uncertainty distracted me. But only for a moment. 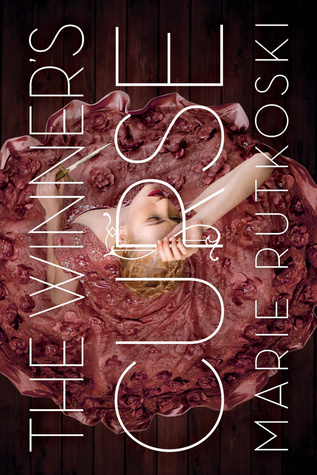 The Winner's Curse announces itself with all the elegance and deadly grandeur of its gorgeous cover. 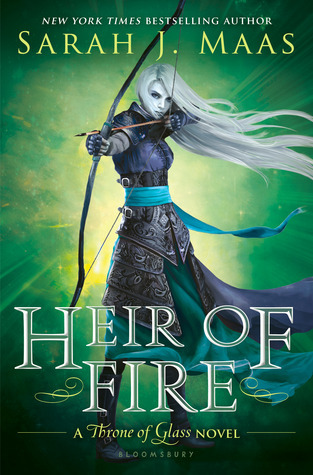 A natural successor to Shadow and Bone and Throne of Glass, but solid without the comparison, it offers an enchanting story that's rooted in fantasy but deeply human in its bones. Kestrel is a spark of lightning, keen and ruthless and inwardly vulnerable. Arin is chipped-away granite. The collision of their fierce personalities births an abrasive friendship and a romance fraught with denial and impossibility. It's the Romeo and Juliet that could have been. This deliciously forbidden romance is just one thread in a plot that deserves its name, a web tangled with intrigue, scheming, and betrayal. Told in Rutkowski's dagger-sharp prose, it's a story that demands your heart and doesn't release you until you're shattered. It's no coincidence that I ordered the sequel before I'd turned the final page. Once you're in Kestrel's world, you're in it for keeps. The Winner's Curse sneaks up on you. The languid beginning belies a slow accumulation of secrets and dangers. By the time you realize you've been holding your breath, you've no choice but to brace yourself against the tension and push forward. It's a beautiful game of Russian Roulette. With each turned page you find yourself teetering on a precipice, tense, waiting for the inevitable jerk into the void. Kestrel's impulsive choice to purchase Arin at auction is the first bullet. While Kestrel attempts to remain unaffected--visiting her friend Jess, entertaining the affections of Ronan, studying strategy with her father, indulging in aristocratic gossip--each brush with Arin is a kink in her normal life. Their affection develops from an abrasive curiosity to a deep understanding and yearning over a series of bantery conversations, music, parlor games. Then Kestrel dares defend Arin from a deadly young Lord, and the scales tip. The second half of the book is a dangerous mix of betrayals and balls, duels and deception. As close as Kestrel and Arin became in the first half, they're now flung apart by their separate worlds. The ending dawdles a little, but so necessarily; it promises to be the last quiet time for these starcrossed lovers. Breakneck, breathtaking, and so gorgeously intricate. The Romanesque Valorian empire is nothing new and certainly not the best feature of this book. Look to Red Rising or The Hunger Games and you can find easy examples of Rome's power and decadence borrowed for a fantasy dictatorship. What benefits this novel is the way in which Rutkowski uses the historical underpinnings. Rather than making Valoria the symbol of all decadence and cruelty, she gives it is own life. This simple trick gives depth to the metaphor and allows for a more mature discussion of its implications. Here is a society where women and men are equal on the battlefield, but women unmarried are still second class. Many of it's people are kind and true, yet slavery is an accepted side effect of war. On the other side, you have the Herrani people, once proud and poetic but now subjugated by their Valorian masters. In giving each side its heroes and villains, Rutkowski provides a deeper commentary on the nature of people within systems, and the gray area therein. She also details the Valorian and Herrani cultures with enough clarity and precision that they feel more alive and less borrowed. I look forward to learning more about Herran, especially, in the sequel. Most of all, Rutkowski sidesteps the easy mechanism of war and turns her focus to intrigue and politics, a side of conquest often underrepresented and much more interesting than a simple battle. Above all, Rutkowski's characters won me. Even the least represented have the feel of reality, depth of character. Kestrel is my favorite and always will be. Rutkowski doesn't take the easy way out with her, giving her modern sensibilities about slavery to win readers. Slavery is something normal to Kestrel. She's spoiled. Ruthless. Fierce. Yet she's also blindingly clever, compassionate, and conflicted. Ultimately, her desire for freedom overshadows her Valorian pride. Loving her isn't always easy, and that's what makes it feel worthwhile. I found Arin a little less vibrant, perhaps because he's given less space. But I still adored him for his brusque honesty, cleverness, and sensitivity. Even though I often wanted to shake him by the shoulders for his idealism. On the side, you have sweet and feisty Jess, adorably flirtatious Ronan, underhanded Cheat, and the inscrutable General Trajan. Trajan is one of my favorite side characters. He's an easy symbol of Valoria's ruthless warmongering, but he's not without a softening and loyalty. Every character has so many layers and hidden motives that I long to read more about all of them. No one is easy, and that makes them real. Always apt, frequently beautiful, Rutkowski's writing breathes an otherworldly atmosphere into the tale. Her descriptions feel unobtrusive but, at the same time, masterfully innovative. Her dialogue is punchy and humorous. She also has the rare talent of knowing when to speak and when not to. Every word feels deliberate, every silence meaningful. I never found myself skimming or growing bored. Instead, I allowed myself to be swept away by her unique phrasing and atmospheric tone into some otherwhere. It's the mark of good writing when you can feel transported while still grasping the familiar. It's the kind of writing that fantasy deserves. The use of slavery in this book is one of the best I've seen. Kestrel is a Valorian darling and easy to sympathize with. Thus, you find yourself rooting for her through much of the book--and then realizing that, by rooting for her and her people, you're also tacitly condoning the subjugation of the Herrani. It's an uncomfortable position to be in, and thus the perfect situation in which to think. On the other hand, you have Arin, the subjugated, and his people. You want them to be free, even while you shy away from their cruelty and crimes. Rutkowski avoids an easy soap box on the morality of oppression and instead offers you a view of the world as it truly is--checkered, gray, confused. In the end, it makes the conclusions you can draw more meaningful than if they were spoon-fed. The Winner's Curse takes all that is good in fantasy and spins it into a sweeping epic of love and loyalty, intrigue and betrayal, around the heads of characters you won't soon forget. A revelation. I have yet to see a negative one. I think this will be a stand-out for a long time. The pretty dress cover makes it seem like a romance clone, but it's not even close. I'm so glad to have confirmed your hopes! Please do come back when you've read it, or shoot me an email (the.winnower (at) gmail (dot) com). I can't wait to hear what you think!